As I was walking through my local Whole Foods the other day, I marveled at all the amazing food and how really beautiful the produce section of a good grocery store can be. From the beautiful Fennel fronds, to the orange carrots, yellow bananas, purple blueberries, and red cherries and tomatoes, you can truly find some amazing variety in nature. Of course, my perusing of the produce section was more time waster than deep reflection. How often does a working mom get to be alone, at her own pace, and just wander? Obviously not often if my gold standard is wandering through the produce section unmolested by cries of “I want!” So, I had to snap out of my blissful haze before I lost any more time. Honestly, I think the samples must be filled with magical lotus leaves. I lose all kind of time there and I can’t really tell you that I was doing anything particular. I was there to get dinner. It doesn’t make itself, you know. I walked past the fish and meat counter and nothing really jumped out. 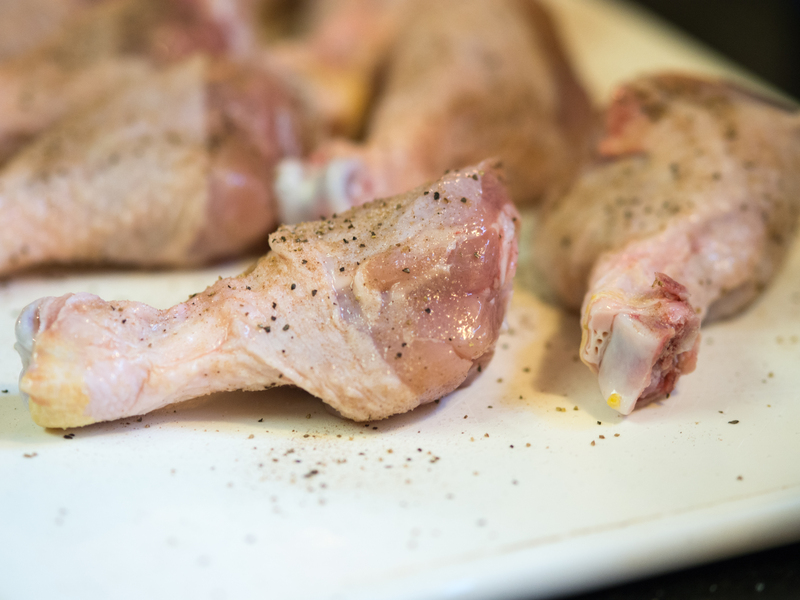 Then, in one of the open refrigerators a small sign: chicken legs, $.69/pound. Really?!? Chicken rated a 2 on the animal welfare scale for less than a buck a pound? Sure, it was just chicken legs, but who can beat that deal? I picked up a super sized package and went on my way. What would I do with a whole bunch of chicken legs? Sure, I could fry them, but I did that already. Coq Au Vin? Done. I’m not stripping the meat off of them for gumbo. So, I did what any respectable blogger would do, I googled “chicken legs”. And there, in my search result was a recipe from Goop, a website run by Gwyneth Paltrow. At this point, I must confess to a guilty pleasure of reading gossip sites. These sites generally don’t like Gwyneth Paltrow. In fact, they love pointing out that she’s fairly unaware that “peasants” don’t live like her. We don’t cleanse, have a nanny (or two), aren’t married to a rock star, can’t choose which city to live in this week (London or NYC, so hard, right? ), and don’t spend $458,000 on a “Spring Essentials collection” of clothes for just this Spring. To paraphrase from the many Goop-haters, when you are born on third base, don’t think you hit a triple in life or that scoring a run is hard from that beginning position. An example of her being “out of touch” (if the Spring Essentials didn’t drive that point home) may be the $950 silver shot cup that is part, just part, of her barware. So, as a working mom who’s clearly not in the 1% scrambling to make dinner with cheap chicken legs on a busy weeknight, it was with great trepidation I clicked on the Goop link http://www.goop.com/journal/make/215/one-pan-meals. Ultimately, I’m very glad I took a chance with this recipe. It’s really quite good and so ridiculously simple. 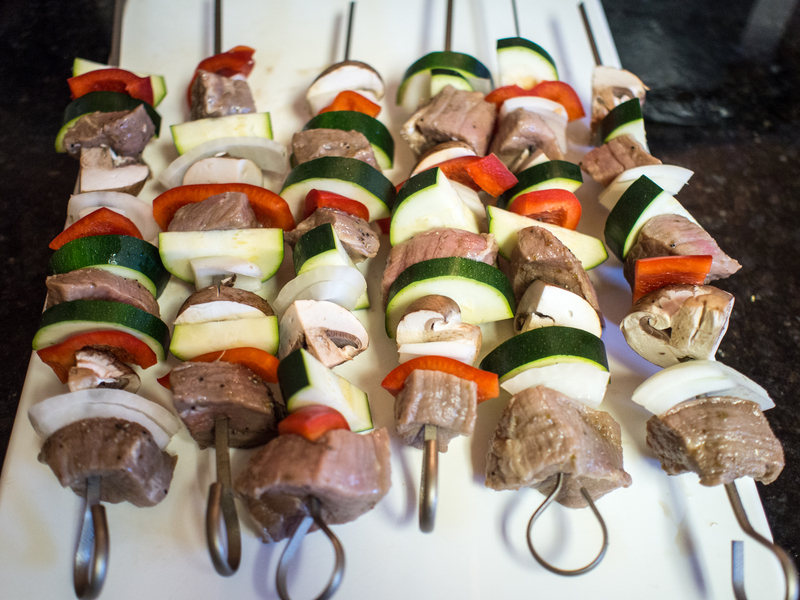 This is based on a traditional Greek dish called Kapama. However, it is a bit of a shocking recipe. 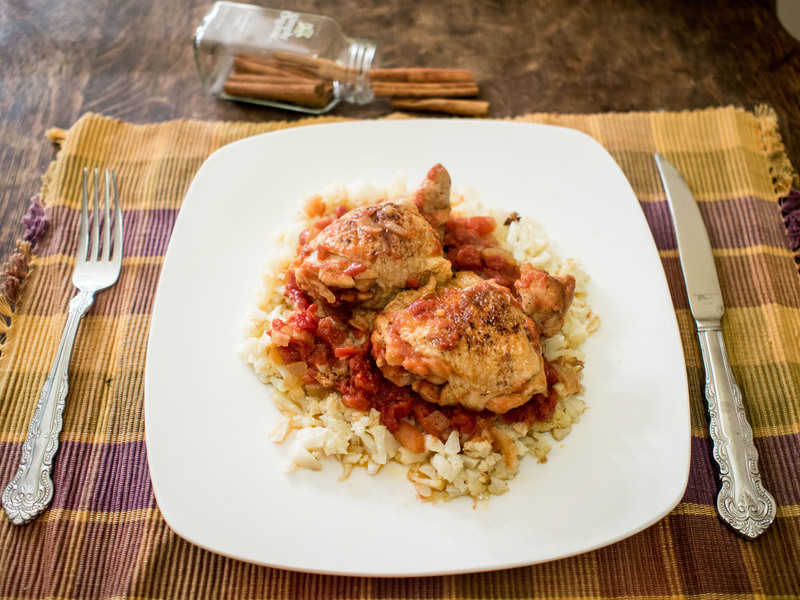 Cinnamon, chicken, tomatoes and garlic. In one pot. One of my sorority sisters has a website called http://thefamilymealproject.com/ that examines what meals her kids would eat. Well, I felt this would be a perfect recipe for that experiment. As the house filled with the scent of cinnamon and tomato, I started to fret a bit. It was a wonderful smell, just not something you expect. You know, for dinner. However, I received nothing but absolute praise from both my son and daughter. My very picky, I only eat salmon daughter actually ate this. I know, shocking. The hubs gave his equivalent of a rave review: I’d ask you to make it again. Sigh. Small victory, I will take thee!! 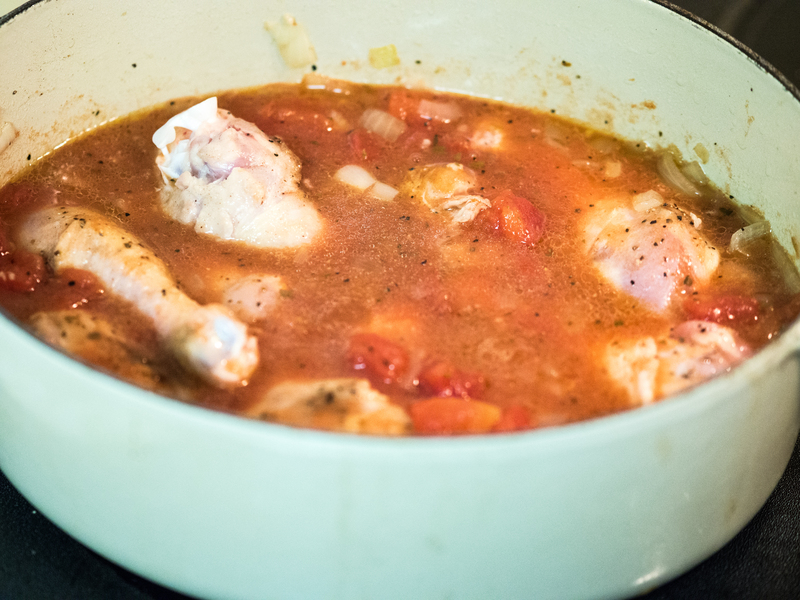 Rinse and pat dry the chicken legs, set aside. Combine cinnamon, salt and pepper in a small bowl. Sprinkle cinnamon mixture over the chicken liberally. Heat the oil in a dutch oven (I used my trusty 5 quart) over medium high heat. Brown the chicken, in batches. About a minute or so on each side. Remove from pan and set aside. Reduce heat to medium. To the pan, add the onions and cook while stirring until translucent. Add the garlic and soften. Add the tomatoes and the water and deglaze the pan. 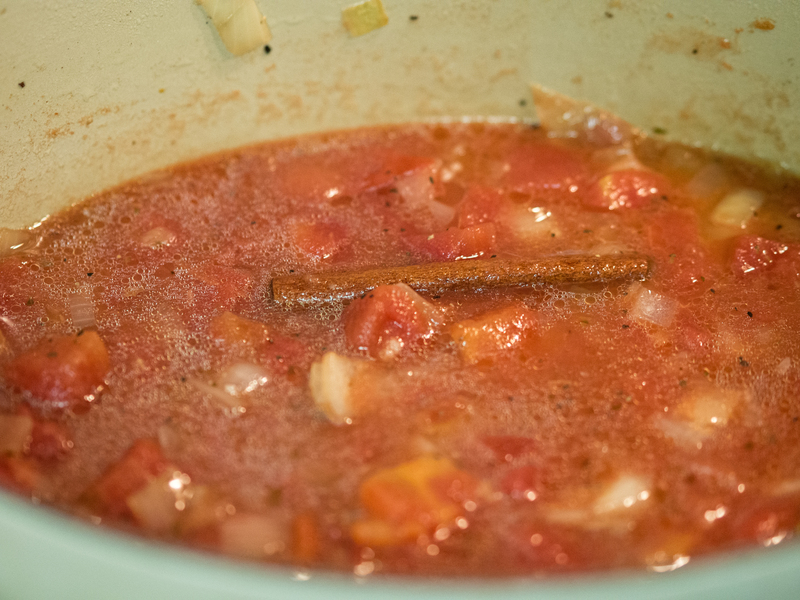 Add the cinnamon stick and bring to a simmer. Return the chicken to the pan. Cover and place in the oven and cook for one to two hours until cooked through or all the way to “fall off the bone”. Serve with pasta or rice and sprinkle with cheese before serving. Note: I only cooked this in the oven for an hour. “Fall off the bone” would have taken too much time for a weeknight meal. In the hour it was cooking, I made brown rice, a salad and checked homework. Two hours and we would have been eating well after the kids’ bedtime. So, it might be even better with more time! 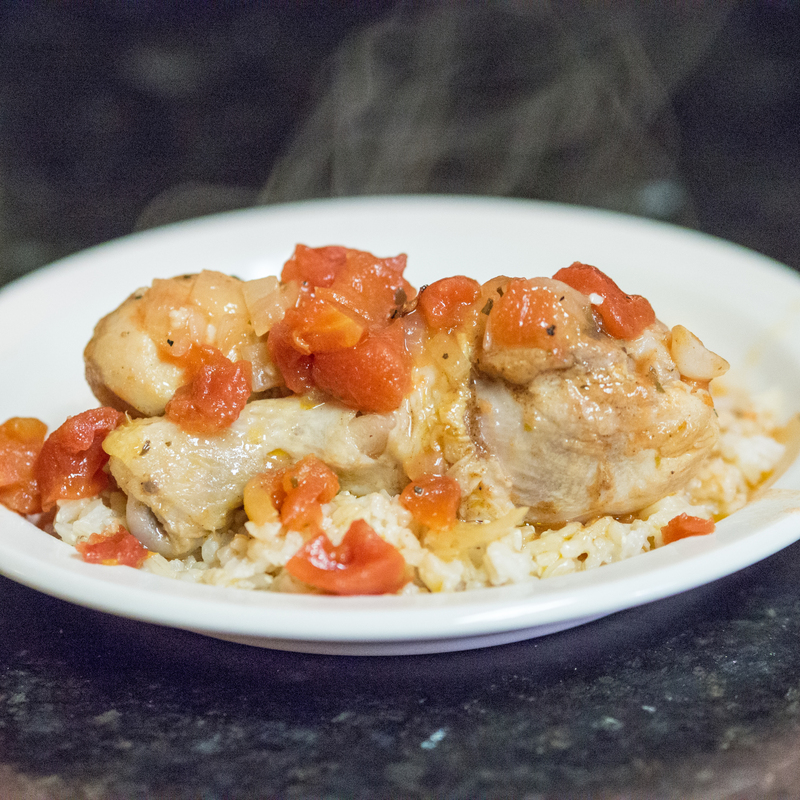 This entry was posted in Gluten Free, Low(er) Carb, Main Dishes, Poultry and tagged braised chicken, Chicken, Chicken legs, Chicken thighs, cinnamon, Garlic, Goop, Gwyneth Paltrow, kapama, tomato on June 8, 2013 by dawn of food. When my kids were in daycare, for Mother’s Day there would be “muffins for mom” and for Father’s Day there would be “Doughnuts for Dad”. I was so jealous of “Dad”. The moms would get these large, dense, tasteless, mass produced muffins that sat in packaging for weeks. Dads would get doughnuts fresh from a local shop. So not the same! The only muffins I really remember growing up were blueberry. I guess there were other flavors, but I don’t recall having them. Muffins had their heyday in the 1990s. There was an entire Seinfeld episode dedicated to the best part of the muffin: the top. Thanks to that episode, you can buy a muffin top pan. Who would possibly want those terrible muffin stumps? The tops were clearly the best part!! I love Seinfeld. Muffin flavors exploded, and there was a bit of a muffin craze. No different than the cupcake phase now. Can that be over now? No one looks good eating a cupcake. It’s messy, you get frosting everywhere, and those little things are expensive! I’m really not a big fan. But, I digress. As everyone has a muffin tin, there should be no “special equipment” required to execute this recipe. 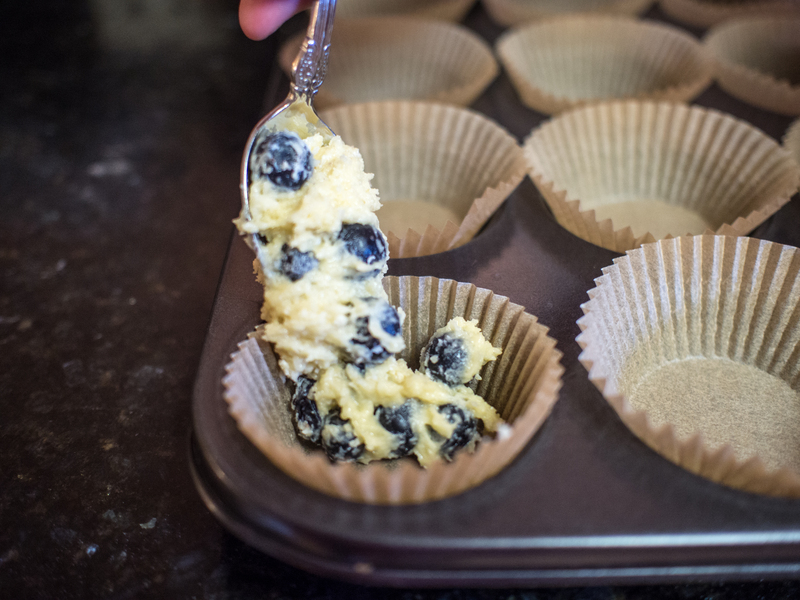 Most people now probably make cupcakes out of their “muffin pans”, but I like the old standby of blueberry muffins. Simple, elegant, and well, it’s got to be good for you, there’s blueberries in it! This recipe is allegedly based on a Martha Stewart Recipe. The blueberry recipe currently listed on her webpage is loaded with comments asking where the old blueberry recipe went. One of the commenters kindly put the more popular “old” recipe up. I used that one as a base for the following recipe. If the recipe was so good that people were willing to print it and save it, then comment on Martha’s site about it on another recipe’s webpage, it was good enough for me! A purloined recipe! Quite the scandal! As you can guess, it’s made two ways. One for the boy and one for the girl. She wouldn’t touch blueberries for anything. Preheat oven to 375 Degrees Fahrenheit. 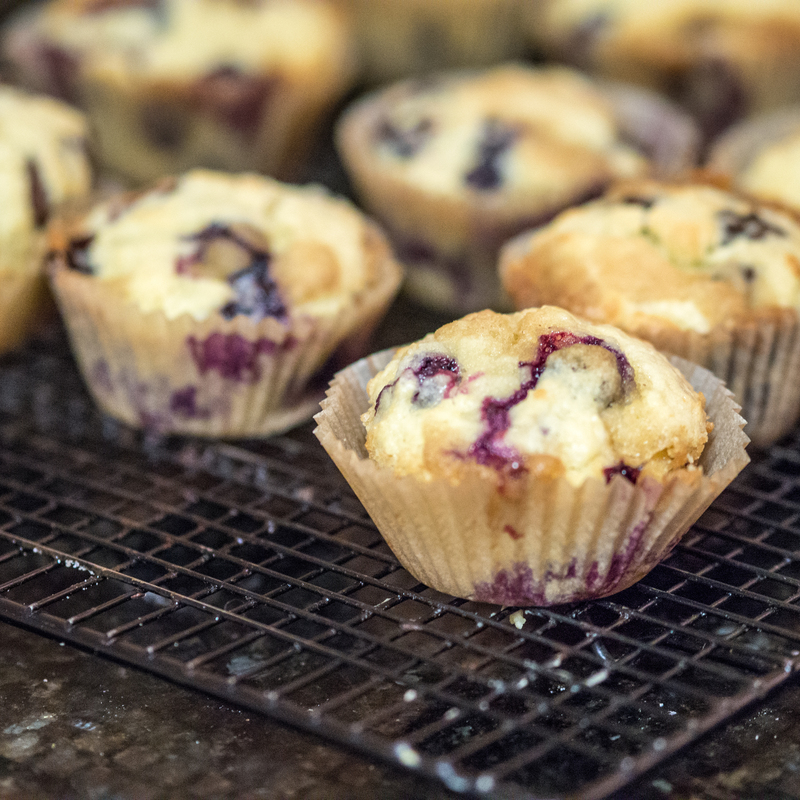 Line a muffin tin with baking cups or liners. 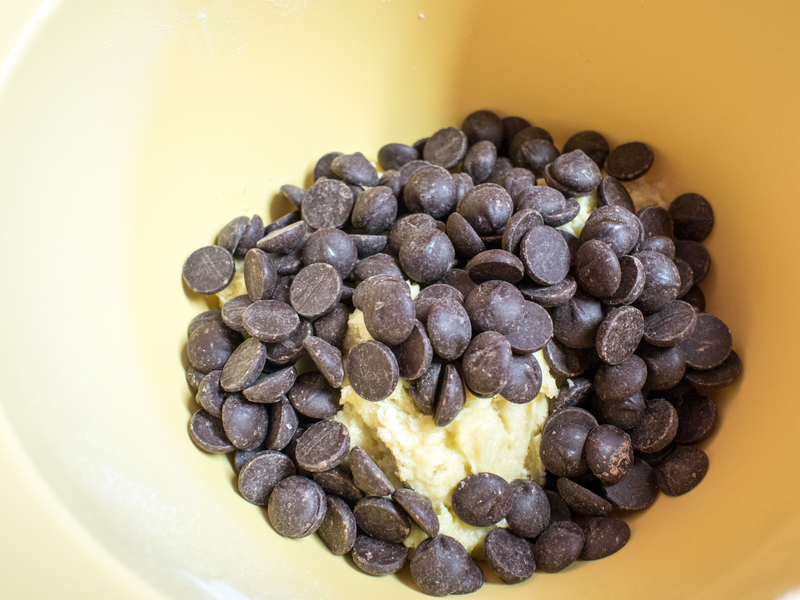 Whisk together the flour, baking powder and salt in a small mixing bowl. Set aside. 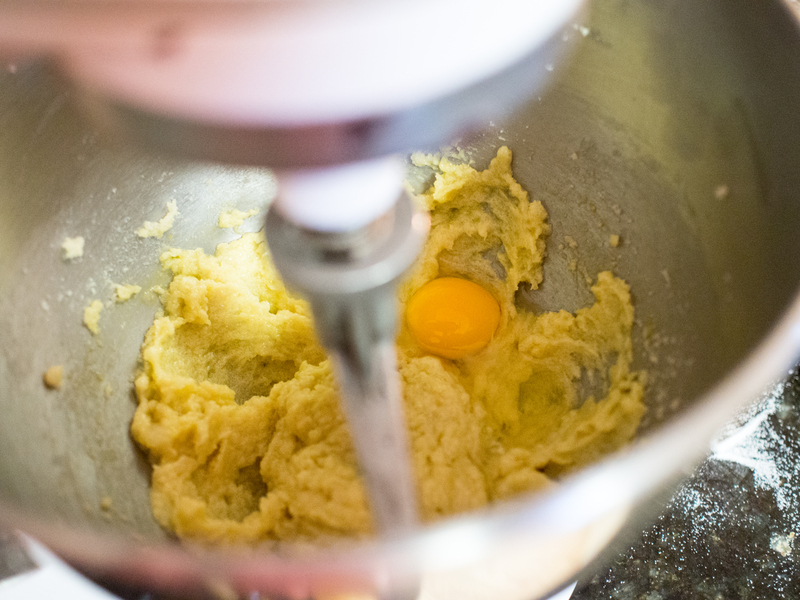 Cream together the butter and the sugar in a large mixing bowl, until fluffy. About 3 minutes. Add eggs, one at a time until combined. Add vanilla and milk until combined. 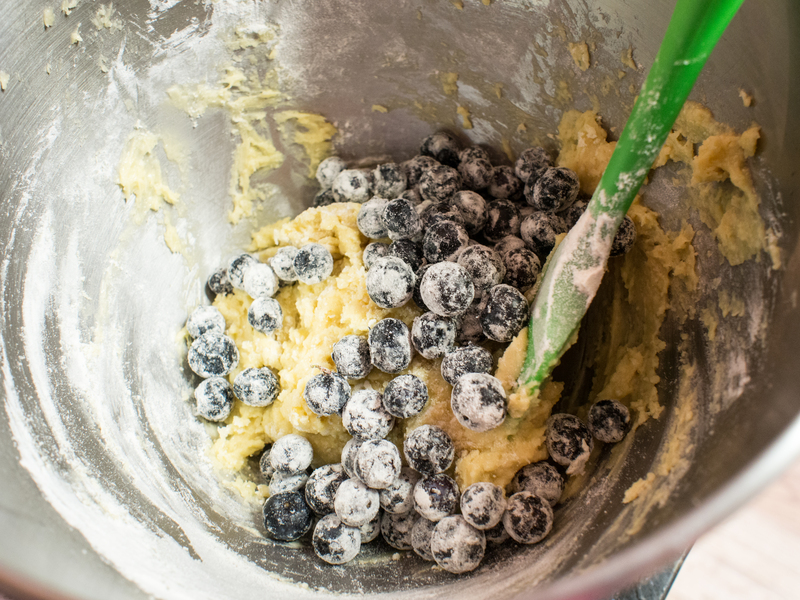 Take 1 teaspoon of the flour mixture and use to coat the blueberries. Using a wooden spoon, slowly stir the remaining flour mixture into the wet ingredients. Divide the batter in two. 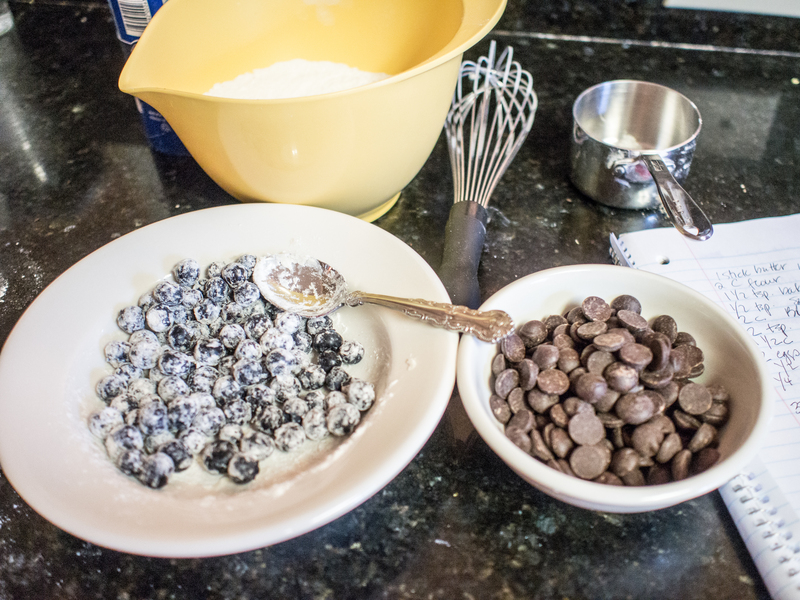 Add the lemon zest, lemon juice and blueberries to one part of the batter and the chocolate chips to the other part. 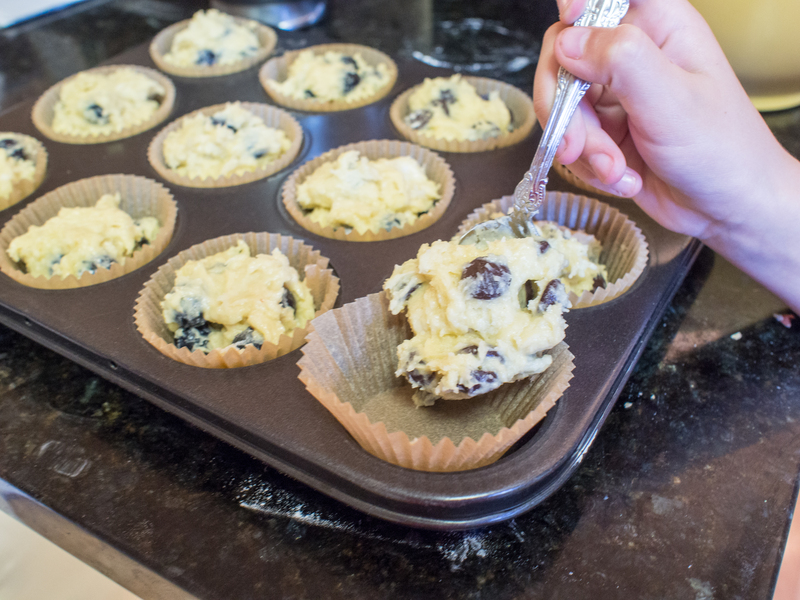 Add the batter to the muffin tin. Mix together the sugar and nutmeg and sprinkle on top of each muffin. 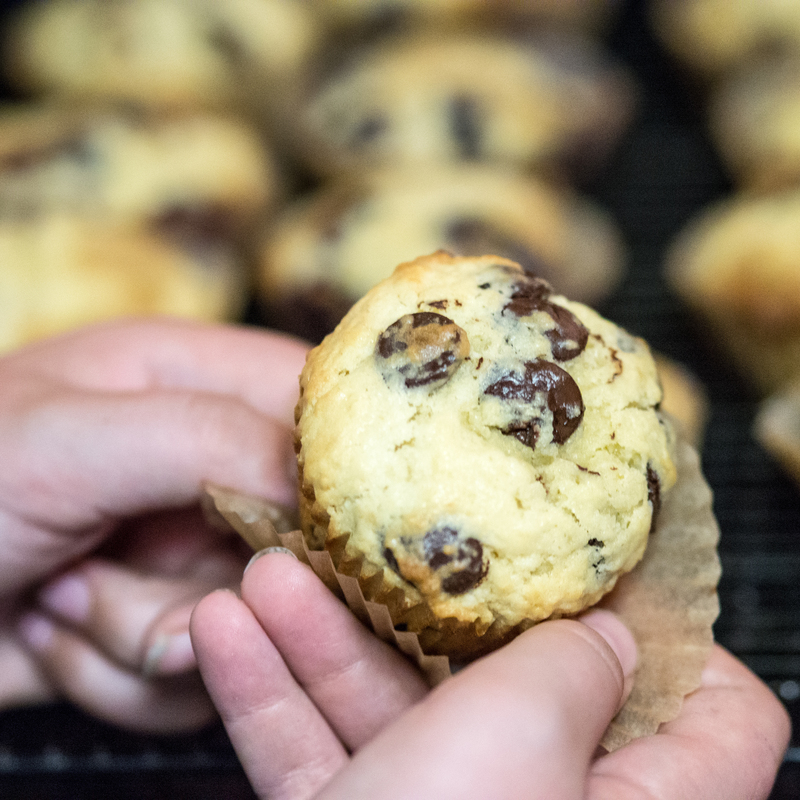 If you have too much batter for 12 muffins, bake a second batch. I got 14 muffins out of mine. Bake until the tops of the muffins start to brown and a toothpick comes out clean. This entry was posted in Breakfast, Breakfast/Brunch and tagged Blueberry, blueberry muffin, Breakfast, brunch, Chocolate chip, chocolate chip muffin, Martha Stewart, Muffin, Seinfeld on June 7, 2013 by dawn of food. My husband comes from New York City. I’m from below the Mason-Dixon line (albeit just barely) and he’s a chap from Queens. Needless to say, we shared very little in common food-wise when we met over 15 years ago! He eats a lot more seafood now, and I eat more charcuterie. Not a bad tradeoff!! 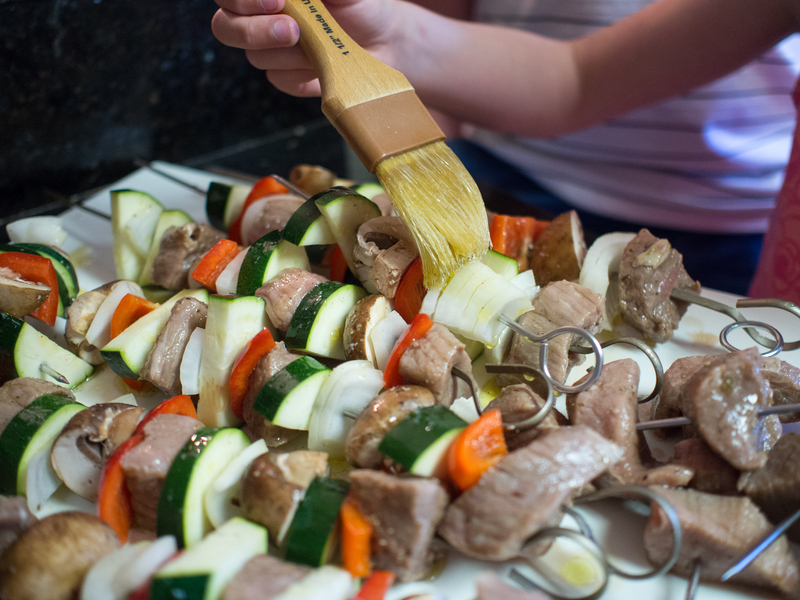 Some of his favorite food memories revolve around the Italian cooking of his friends’ very Italian moms. 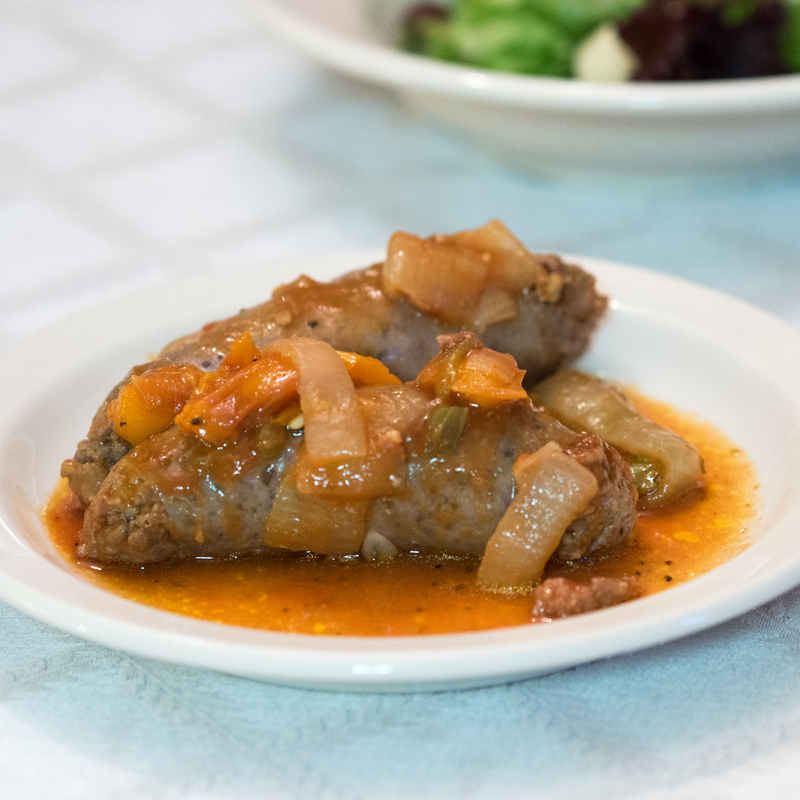 Sausage and peppers are a particular favorite. I have severe and substantial reflux issues and the thought of tomatoes, spicy Italian sausages, peppers, garlic and onions gives me agida. I can actually feel my esophagus burning just typing the words. 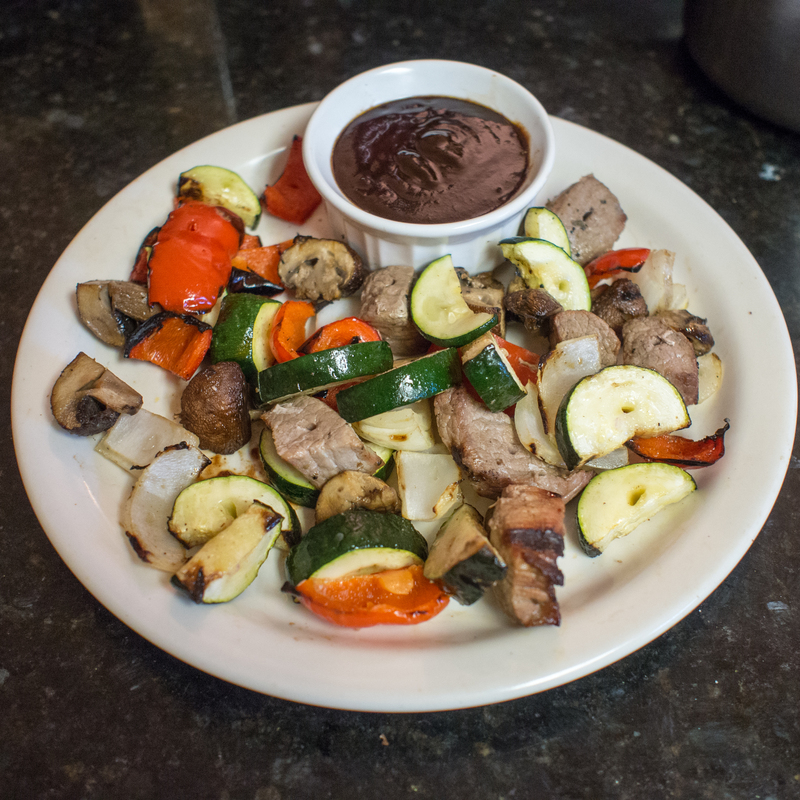 It’s a low carb, easily made dish and should totally be “in the rotation”. It’s a very traditional Italian American dish, right up my “traditional and simple” alley. Stupid reflux. So, we haven’t eaten sausage and peppers often, if really at all. However, one of my very lovely neighbors dropped off 3 pounds of Italian sausages from a famous Italian shop around these parts. Spicy Italian sausages, of course! Awesome, right? I am very lucky to have such great neighbors! Knowing these are far superior than anything you can get in the grocery store, I wavered. So, I am putting my pantoprozole (my reflux medicine) to the test and seeing how I do with what has to be the biggest challenge known to the heartburn afflicted: Spicy Italian Sausage and Peppers. I chased the peppers with some antacid pills. No problems. Yay! Dodged a bullet there! The dish is so easy. It’s made in one cooking vessel. 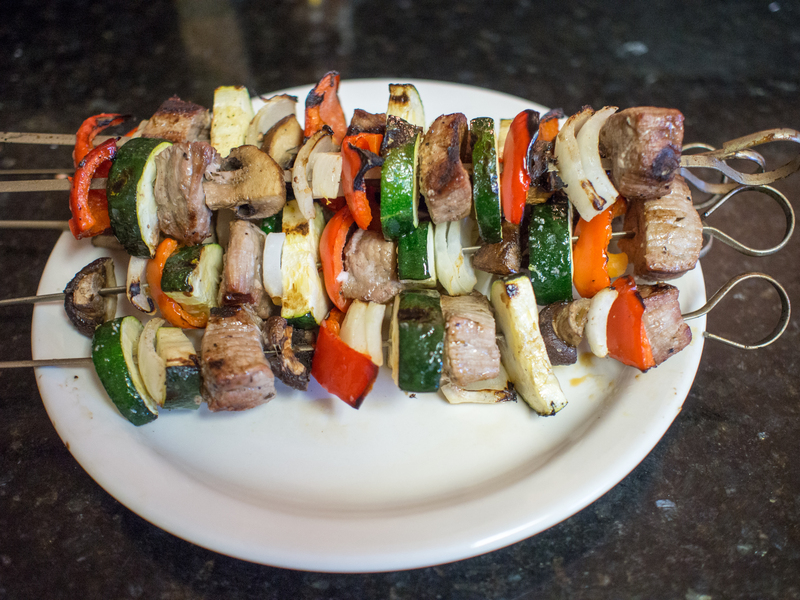 Serve with a salad and you have an amazingly good, easy and quick weeknight meal. If you love bread, pile this on some crusty French bread, top with mozzarella cheese, broil until the cheese is melted and have an awesome sausage and pepper sub!! Heat oil in a sauté pan (I used a 4 quart). 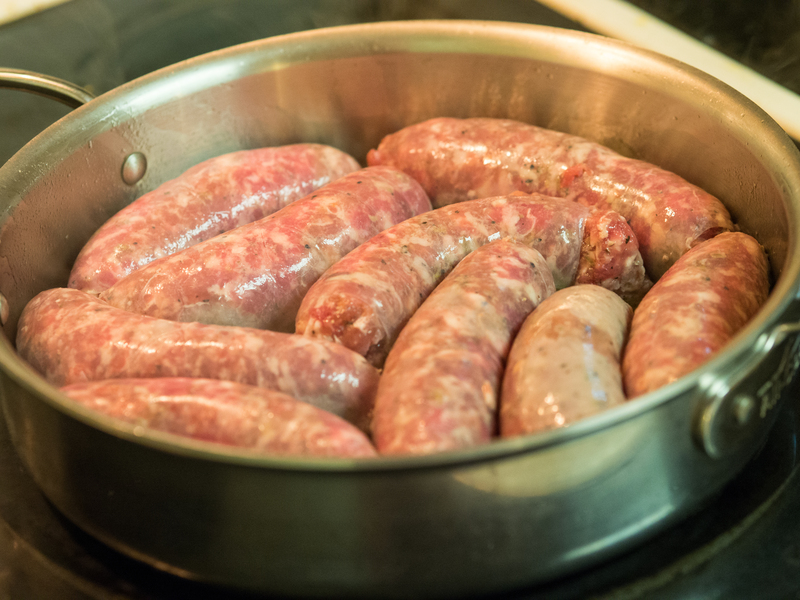 Place sausages in the pan and cook until slightly browned on both sides. 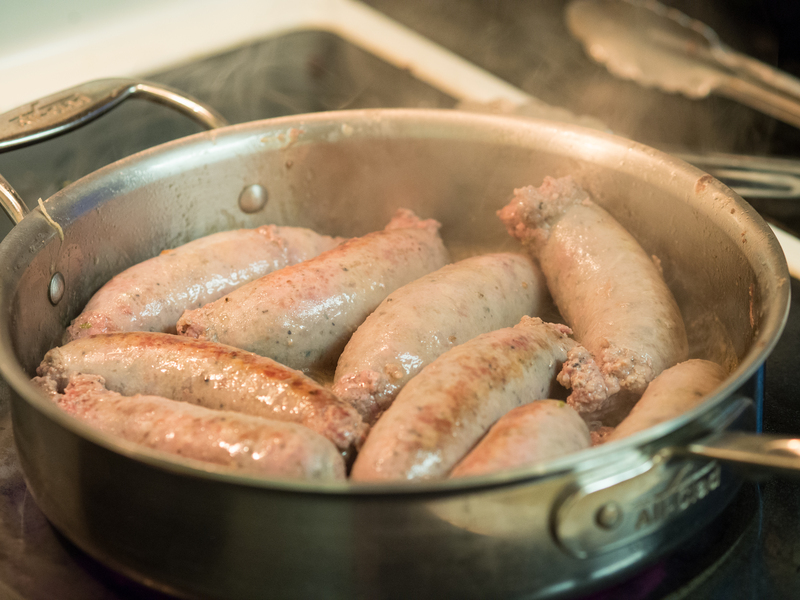 Juices should run from the sausages, if not, prick a few so they do. 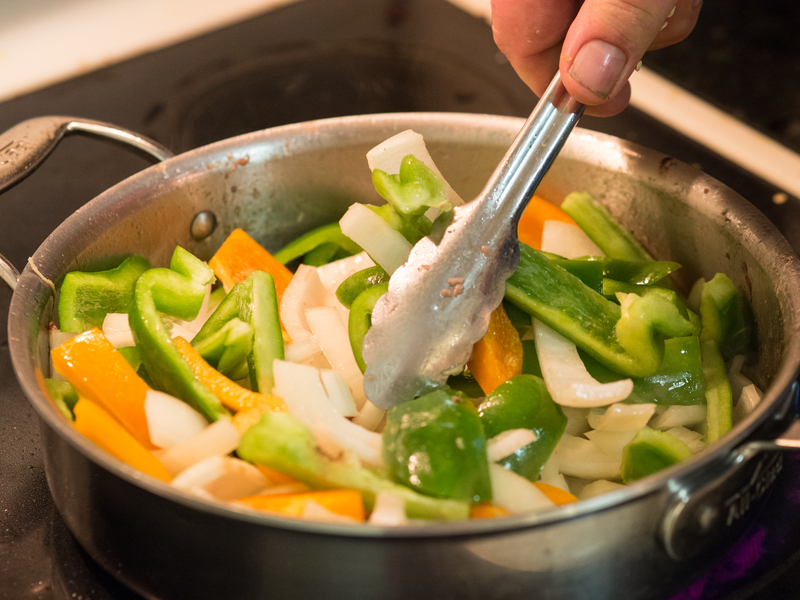 Remove sausages from pan and add the peppers, onions, garlic, salt, pepper, red pepper flakes and oregano. 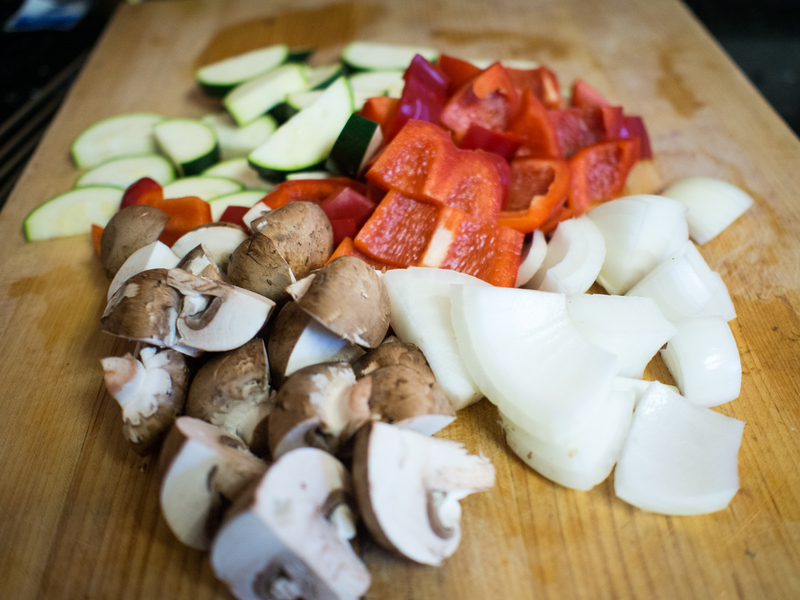 Cook until the vegetables are soft or your desired firmness. 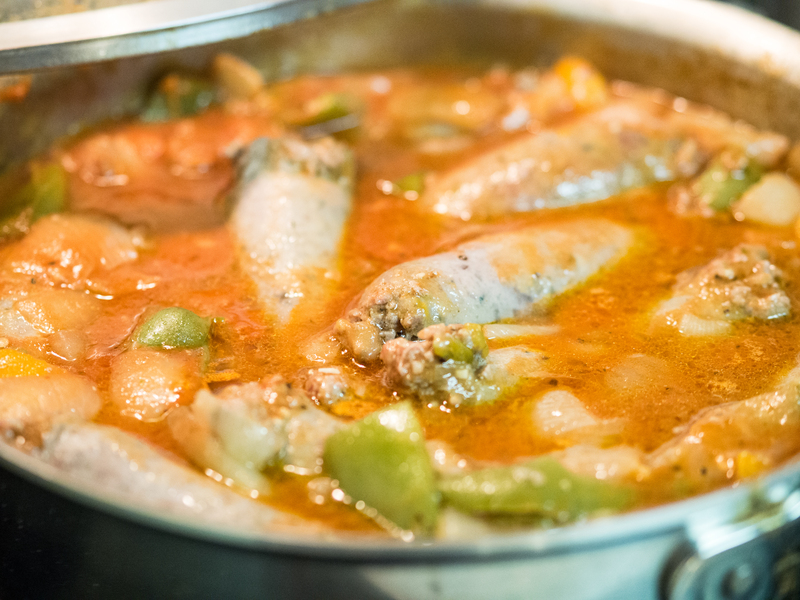 Return sausages to the pan and just before they are cooked through, add the tomato paste and combine. Simmer for a few minutes until the sausages are done. 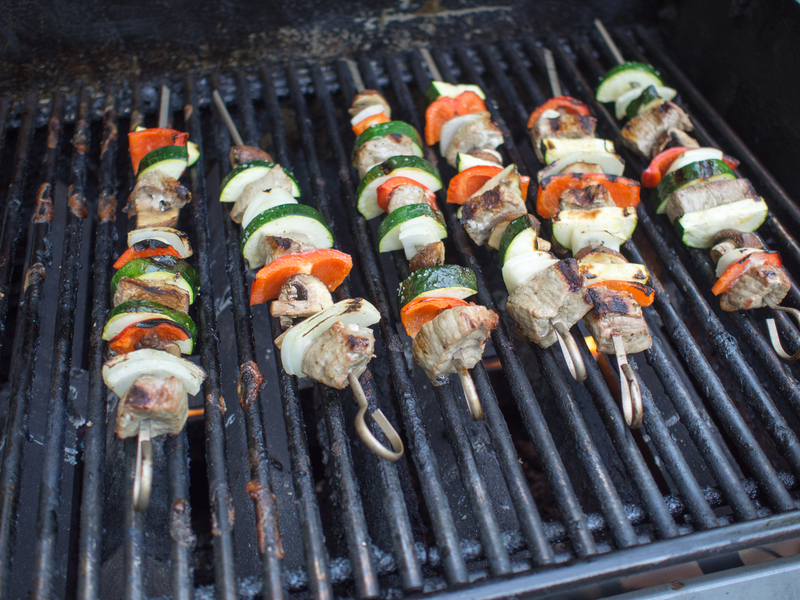 This entry was posted in Gluten Free, Low(er) Carb, Main Dishes, Pork and tagged bell peppers. tomato, Crushed red pepper, Italian cuisine, Italian sausage, Olive oil, peppers, sausage on June 4, 2013 by dawn of food. Very few things complete a hot dog and hamburger cook out like baked beans. Which, to me, is odd. I mean, it’s clearly hot outside. Nearly all the other sides are cold, like coleslaw, potato salad, lettuce based salads, sliced fruit, etc. Drinks like beer, soda, margaritas, and mojitos are cold. And inevitably there will be baked beans somewhere on the table spread. The beans are baked in a supremely sugary and molasses infused sauce for a fairly long time, given their small size. How does that fit with coleslaw and potato salad? It’s like “which of these things do not belong here”. Yet, it does. And great beans can be sublime. Sweet, smokey, salty all in one bite. Try to top that potato salad!! 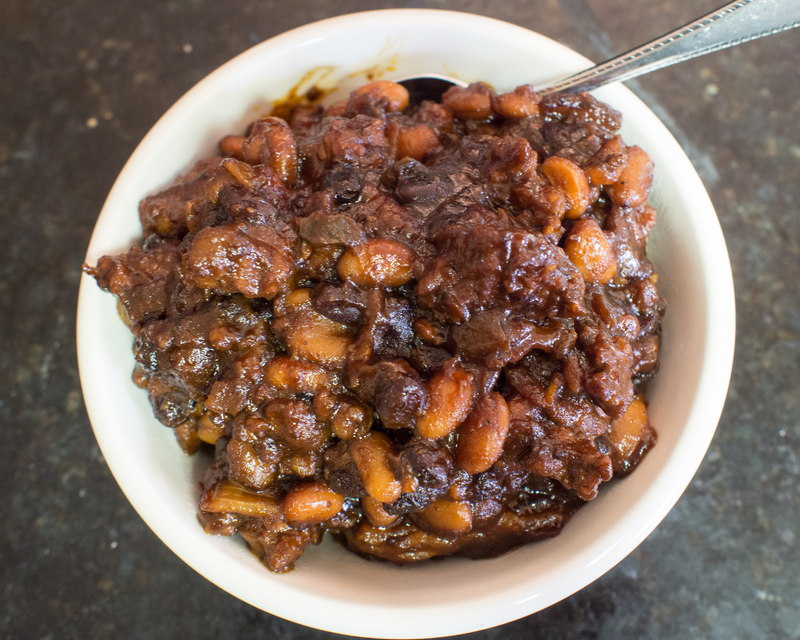 Boston Baked Beans are the quintessential historical bean dish. The beans used for this dish were indigenous to the North American and transported to the “old world” in the 16th century. French Cassoulet was developed quickly there after. 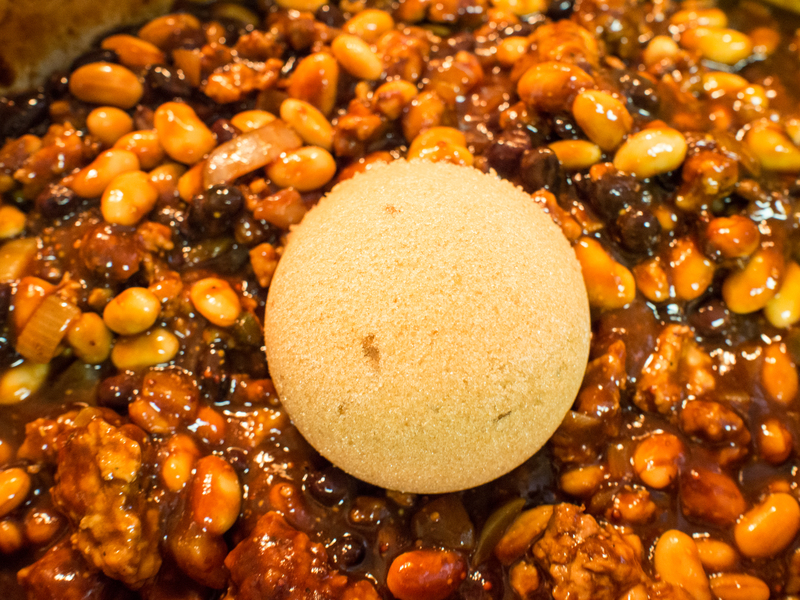 In the colonies, the beans were cooked with salt pork, molasses, sugar and water. The beans were baked for many hours in an earthen pot. “Beantown” (aka Boston) was aptly named due to the popularity of “Boston Baked Beans”. Now? Pop open a can and warm it up in a sauce pan. Done. “Baked beans”. And why not? Who wants to have a hot oven going for hours during the summer? Who wants to soak beans for hours on end (if you can remember to, I forget that step and have to do the “quick soak”)? I care!! There are many variations of doctored canned baked beans. But, no matter how much you doctor a recipe for baked beans, the earthiness seems to get lost to a wan can taste. I think it has something to do with the sauce in the beans. It lacks spice. Oomph. Body. My mom has a recipe that she got from somewhere called “Braggin’ Baked Beans”. 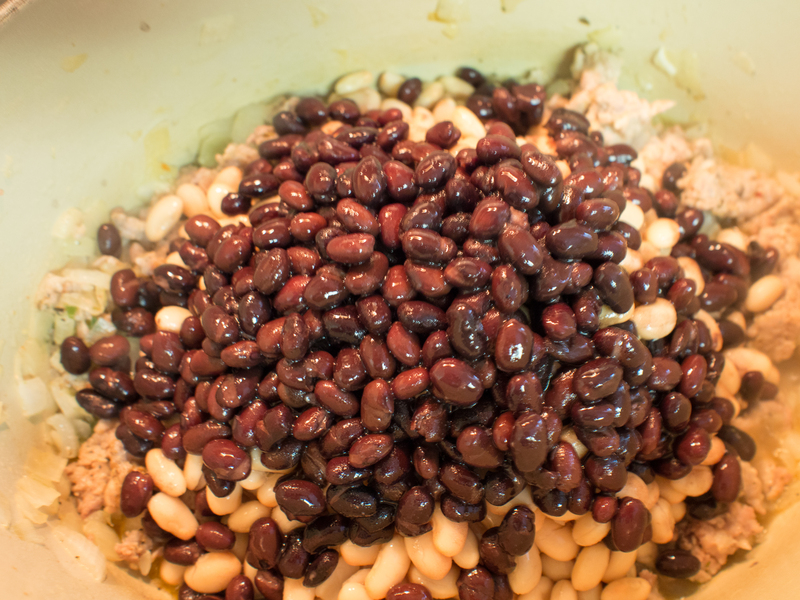 This recipe is the best of the doctored bean recipes I have tasted. 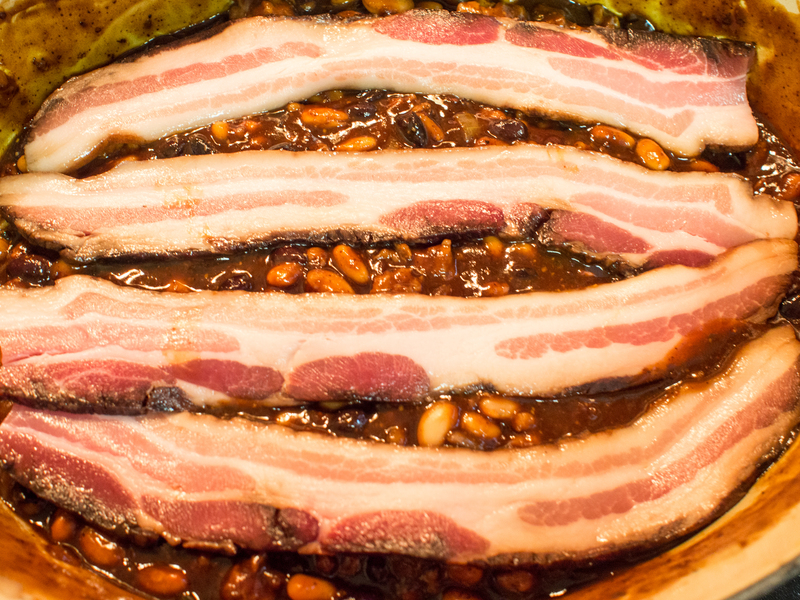 I’ve tried making traditional baked beans. No one really likes those anymore. I’ve tried and tried. So, I decided to do a hybrid. My recipe combines historical ingredients with decidedly newer ingredients. I wanted to add spice to the sweetness. I wanted bold flavors in what could otherwise be a blandish dish. Also, I try to avoid BPA and bean cans and baked bean cans can contain a lining that uses BPA. BPA is a chemical that is suspected of causing hormone disruption in humans. I have two small humans and don’t want their hormones disrupted at all. By substituting plain beans for baked beans, I can use beans from manufacturers that avoid BPA. Heat the oil in a dutch oven (I used my handy 5 quart) over medium heat. 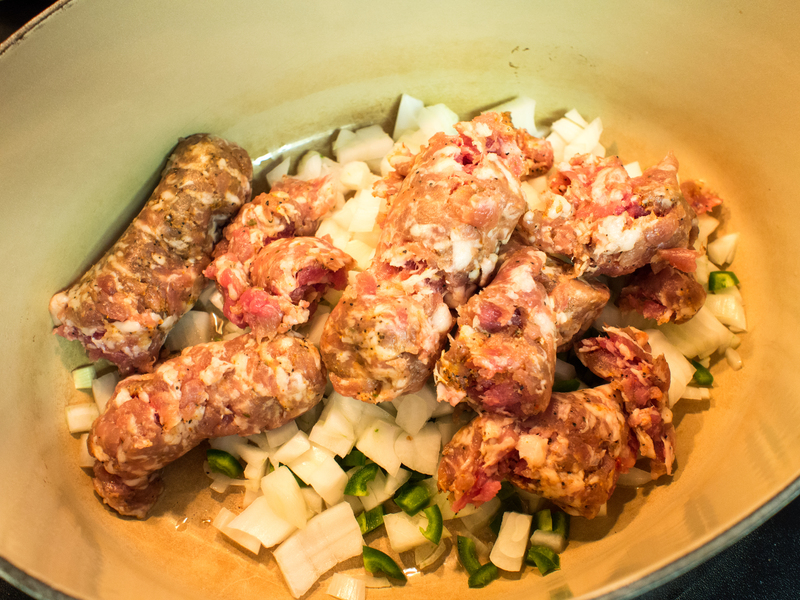 Cook the sausage, onion, and jalapeño pepper, until the sausage is cooked through. If there is a lot of liquid, drain. If not, add the beans, ketchup, molasses, mustard, chili powder, and brown sugar. Stir until well combined. 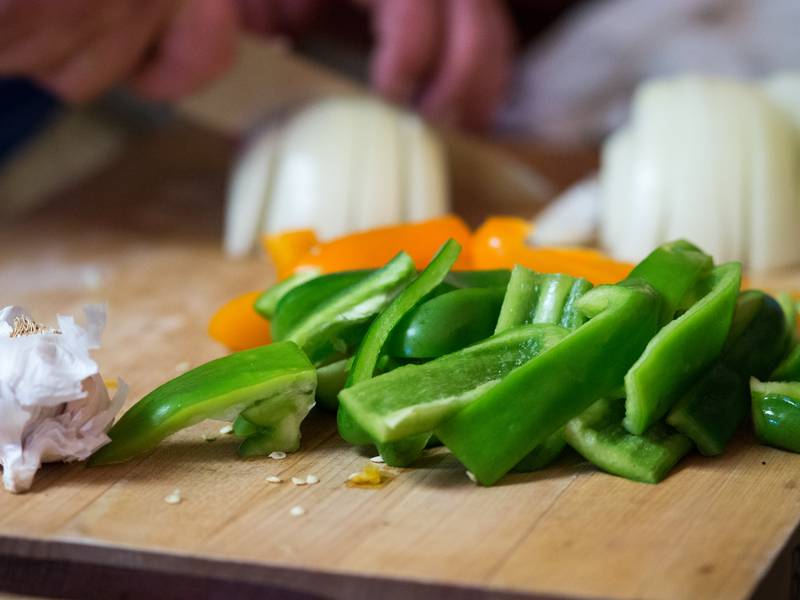 Adjust seasonings, as needed, with salt and pepper. Place bacon on top. Bake covered for 30 minutes and uncovered until desired thickness (30 minutes or so). As you can see above, I like a really thick sauce, you can certainly leave it thinner with no loss of taste. This entry was posted in Barbecue Competition, Gluten Free, Pork, Vegetable Side and tagged bacon, baked beans, Barbecue, beans, Boston Baked Beans, chorizo, cookout, pork on June 1, 2013 by dawn of food.